I had the opportunity to play and review 70 different IGT slots recently – for another website not High Tech Gambling. Playing the full quota of online games from the leading live slots maker (along with a couple of Barcrest titles) gave me a unique insight into what they have on offer. This page brings together my picks of the best IGT slots in different categories. I’m going to start with my personal favourites – which are in the more involved / active category. After that some of those which stood out in the field of lower intensity and relaxing slots. I have finished up with some of their slots which contain interesting ideas or novel features. 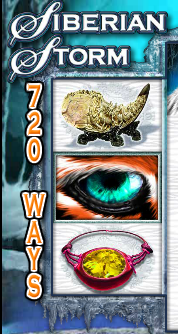 Keep an eye on my main IGT slots page for a wider overview of what this leading live slots maker has to offer online. Just a quick note, licensing issues mean these games are not available for US players. Check my US slots software page for some excellent alternative choices if you are US based. It feels strange to write this, I never though a slot based on a movie which was based on a kids cartoon would make it to my play-list, let alone be on top. Well, it is, and there are plenty of good reasons. First, the in-reel features are excellent. 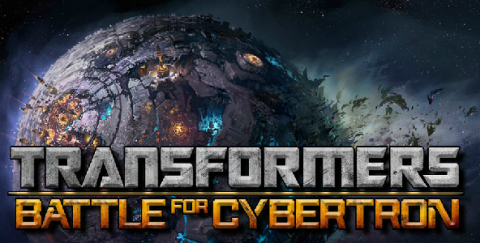 You’ll get a transformer appearing at random, setting fire to everything – and destroying a lot of the symbols. There are 5 different versions of this. You also get the free falling symbols system. When you win, the symbols disappear (transform to nothing). The remaining symbols fall down into their spots, with new ones coming in from the top. This often creates small cascades of wins. Second, the bonus round is excellent too. This is free spins, combined with an epic battle between two transformers which have 3 lives each. I will not spoil the fun by telling you all of the details. I had passed this graphically amazing game over before, thinking it was not my thing… it is now number #1 on my IGT slots playlist – how about that! I had already tried the older Star Trek, and found this ok – though nothing special. By contrast, ‘Against All Odds’ is an epic game. This is based on the newer crew (for any purists out there!) and each of the main characters has a bonus round involving some combination of spins, multipliers and special symbols. This slot is beautifully put together, with really good graphics and smooth game-play (ok, one too many quotes from the movie, but that’s minor really). The main draw is the bonus round, which has two parts. The first is a battle, which is like a mini video game where you have to protect the Enterprise. After that is a spinning wheel which can get you some big wins. I strongly recommend this, even if you are not a huge Star Trek fan. Tired to pick something a little different for my 3rd overall IGT favourite. This was another surprise for me, with the ‘gem games’ concept on phones never really appealing to me. This game has a really novel twist. There are two sets of reels (each with 20 win lines) on top of each other. When you win, the symbols (mostly gems) explode, and the rest fall into the gaps they create. This leads to cascades of wins, and with the ability to fall from one set of reels into the other they can go on a long time. What really sealed the deal for me was the bonus round; where another 20 win lines appear straddling the two sets of reels. This means more wins, more explosions and more cascades. All of these games can be found at the award-winning Mr Green Casino – see www.mrgreen.com (hint, there is a search under ‘all games’ for specific slots). Alright, these games are not my personal favourites, though I have to admit that they are wonderfully put together and have some innovative features too. #1 Siberian Storm: This is a MultiWay Xtra 720 win lines game based on tigers from the northern reaches of Siberia. This reels are in a 3,4,5,4,3 diamond formation, and the graphics are simply stunning. The same concept has been used for other slots (Sumatran Storm, Prowling Panther), however for me this one blows them away for the design, soundtrack and even the roars. #2 Western Belles: A slot which fits into the ‘fun’ category, while having some great features. This is based on the women of the Wild West and is really nicely produced. There is the option to play for more coins and get a randomly wild reel from one of the ladies. If you choose this option and get the free spins bonus then you get a different ‘Belle’ giving you two entirely wild reels – which can result in big pay-outs. Worth a look for the innovative design. 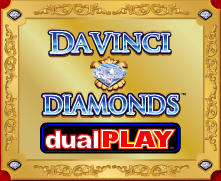 #3 Fire Opals: This is another slot which uses the diamond formation in the reels, with a mystical and relaxing theme to it. Beautifully produced, this is not my personal favourite style of slot, though I know that a lot of you like this genre – and this is the best I have seen within it. #1 In Bloom! Flowers are not the typical slot theme, and this one is extremely floral. The amazing thing here is that each flower symbol can bloom up to 3 individual flowers, giving you the chance to hit 15 of a kind across the reels. #2 Day of the Dead: How about a little Voodoo in your life? This is another 720 ways slot, only this time it is based on the celebration of the dead, with a big jazz band keeping the tempo up. #3 Elvis Multi Strike: This slot, themed on the King, almost made it to my top 3 (piped at the post by Da Vinci). This is a novel game where you can choose to spin up to 3 reels at once, there are plenty of bonus features too, and clips / songs from Elvis. This was a pleasant surprise, as I always thought of the Elvis slots as being musical, but basic. One more time… you can play all of these games at the award winning (and stylish) Mr Green Casino, check them out now at www.mrgreen.com.